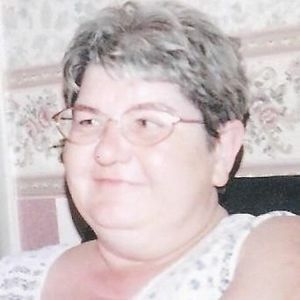 CENTRAL CITY - Glenda Gail Pendley, 57, of Central City, died Thursday, May 30, 2013 at 3:03AM at Maple Manor Nursing Home. Mrs. Pendley was born June 5, 1955 in Greenville. She was a nurse aide at Sparks Nursing Home, and a member of Cedar Grove Baptist Church. She loved spending time with her family and fishing with her grandchildren. She was preceded in death by her sister, Rosemary Bolton; and her parents, Oscar and Rachail Stovall Vincent. Survivors include her husband, Kenneth Pendley; son Billy Vincent of Greenville; step-daughter Stacey (Joe) Hudson of Greenville; grandchildren Spencer Vaught and Shelby Hudson; and special friend Tonya Gunn. Funeral services will be Saturday, June 1, 2013 at 1:00PM at Tucker Funeral Home in Central City, with Rev. T.H. Davis officiating. Burial in Fairmount Cemetery. Visitation will be Friday after 5:00PM at the funeral home. Online condolences may be made at www.tuckerfuneralhomes.com. I Love You Glenda Gale Pendley R.I.P. i will miss you smile and being able to talk to you when i need a friend like you need to talk to me Love You MISSSSSSSS YOU SO SO MUCH!!!!! Glenda and I grew up together. My earliest memories in life include her. She was one of the five grandchildren in our generation. Now there remains two. Glenda was closest to my siser, Pamela Kay, whom we lost last November. In our last conversation we consoled each other regarding the loss of Kay. Today she is no doubt with Kay. I count it joy for her but there is a grevious loss in my heart at her passing. I always counted on Glenda to keep me informed of our extended family matters. Glenda will be missed by so many.